Our veterans are people with hopes, dreams, challenges and concerns just like anyone else. But unlike most of us, they are necessarily trained to ignore their emotions in order to accomplish their mission, be on high alert in order to stay alive, and always work as a team. When military life ends, that training and experience doesn’t automatically go away, and learning to integrate back into civilian life is extremely difficult for some vets. Isolation, loneliness and feeling that no one understands are common among vets. 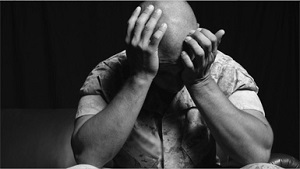 Depression, post-traumatic stress (PTS), insomnia, chemical and alcohol addictions are often part of the co-occurring issues that come with physical damage such as traumatic brain injury (TBI) or the emotional damage of moral injury. Sadly, about 20 vets a day die by suicide because they are unable to receive the help needed to address these debilitating conditions. How can hope be restored? The Veterans Administration provides resources for group therapy, psychiatric care and rehabilitation that is available to all vets and their families. In addition, there are private and nonprofit counseling centers that help heal PTS, build coping skills for those with TBI, and provide psychotherapeutic talk and medication to regain a sense of normalcy. Mental illness never occurs in a vacuum, but rather as part and parcel of the body, mind and spirit connection. Some of the most successful programs include deep inner work of mindfulness and spirituality, because for some vets the psychic pain of killing another person, or following orders that go against one’s deep core values leads to feelings of guilt, remorse, self-loathing and worthlessness. Regaining one’s spiritual equilibrium and value as a human being is often found through practices of mindfulness or prayer in a supportive counseling or faith environment. Faith communities can do much to become more welcoming and responsive to veterans by educating themselves about moral injury through programs like The Soul Repair Center at Brite University. Another resource that allows vets to reach out confidentially and quickly when they are in a moment of despair is the Crisis Text Line. “CTL counselors have logged more than 19 million text message exchanges helping about 500,000 people and counting. All those seeking help have to do is text the word START to 741-741 from anywhere in the U.S., anytime, about any type of crisis.” (See the full article here.) Many of the responders to the text line are veterans themselves who can help their fellow vet be heard and feel connected. Local resources like the Samaritan Counseling Center—www.sccnw.org—whose psychologists and counselors help thousands of people using effective, skill-building, soul-strengthening therapies, improve the lives of veterans and their families every day. If you or someone you know needs help, call 847-382-HOPE (4673) extension 316 today.